Today I was so excited when I came home from shopping to see this little baby on my door step. 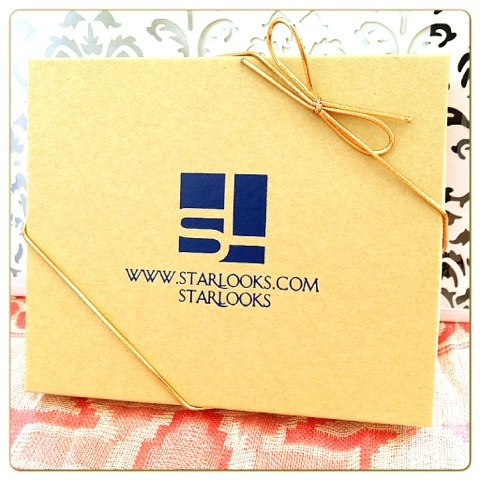 It meant one thing, my Starlooks* beauty box from America had arrived. 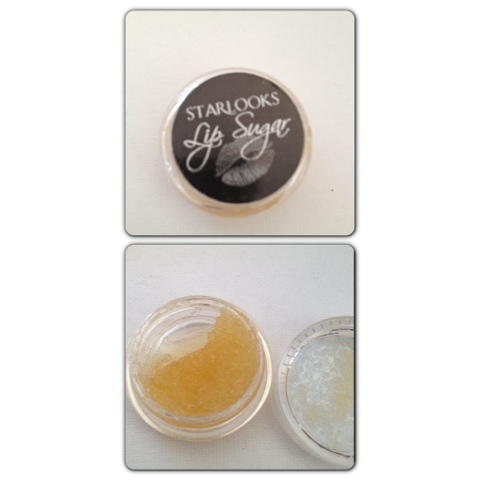 If you have never heard of Starlooks before they are a make up company from the states, they offer a monthly subscription service where ( like normal beauty boxes) you receive a box every month for $27.75 ( £17.82 including delivery). What makes this box different and stand out from the rest is that all the products you receive are make up items. Yes all make up!! Each month you will recieve 3-4 full sized items all of which will be make up. Exciting or what?!?! 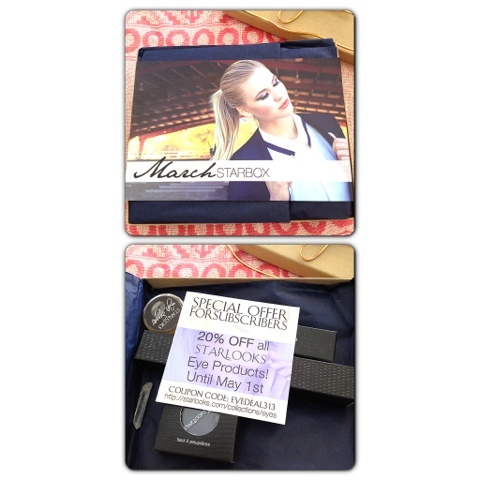 I received March's box where the theme was Bold and Natural. The packaging is simple yet elegant. One good thing is the size of the box, its no bigger than a letter and can easily be posted through your door. No need to wait in all day for the postie or trips to the post office to collect it if you have missed it. Bonus! This is dicribed as " a gorgeous full coverage frost lipstick. 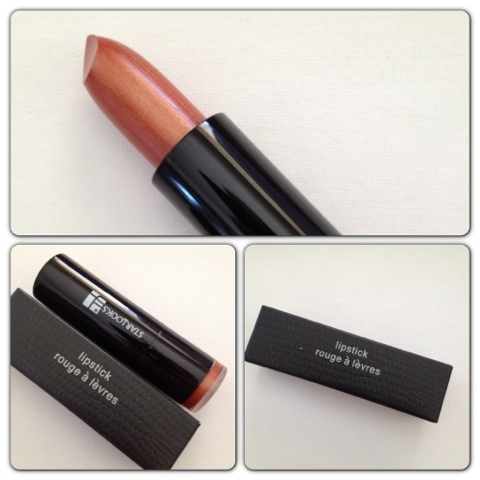 Perfect for adding colour to the lip, but not too bright for spring. 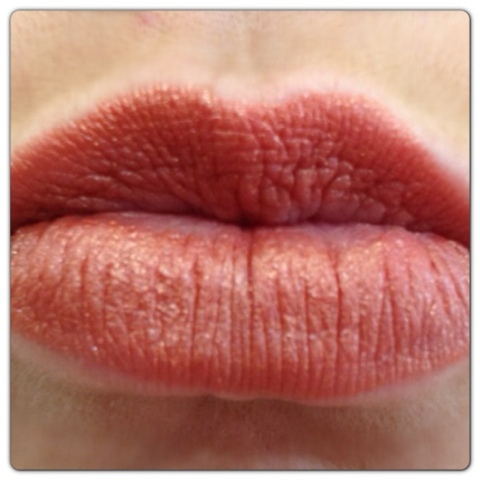 A perfect rust lip goes with khaki, white, black, brown and even navy". This colour is perfect for me and just the colours i go for. It's a golden orange with bronze tones and a hint of shimmer. I realy like it!
" 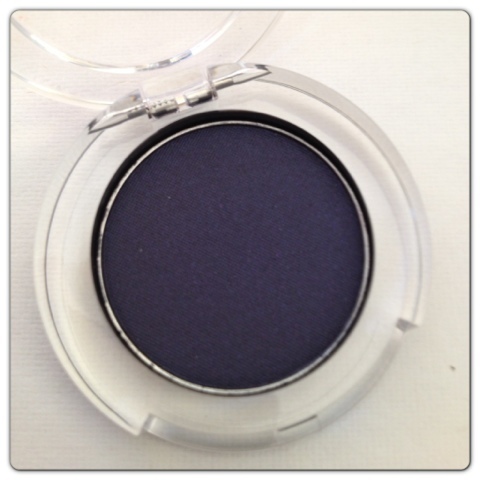 Althrough this is a dark colour for an eye shadow, navy is a classic colour for spring. Goes with all neutrals, and also complements any pop of warm colour you decide to wear. 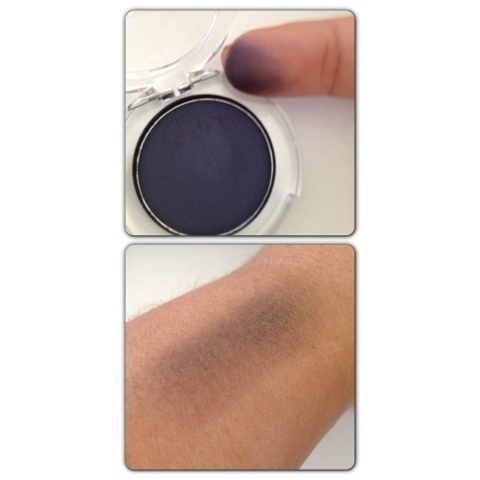 This highly pigmented shadow has just a touch of sparkle, so you can pack it on or, if using it as an accent, apply only a hint for a light navy glisten. Navy is also great for a smokey eye, you don't always have to use black or gray"
This isn't a colour I would normally use and looked quite scary ( very blue) in the pot, but once swatched to looks more wearable and subtle.
" Our lengthening mascara has a huge fluffy tree shaped wand that allows for no clumping, and is full of rich, black kohl pigment.This mascara creats the effect of a fluffy, feather like lash that is also lengthened to the fullest. 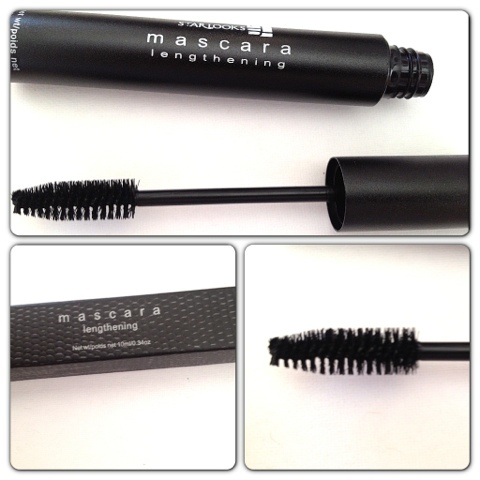 Expect longer lashes, and with two or three coats, the base of the lash will thickeren by 50%!" The brush on this looks really good and dosen't hold too much product, no clumps here then! I tried this as soon as I got it out of the box. It smells devine, and almost buttery. My lips have been dry lately and this removed all of the dry skin and left them feeling really clean and soft. Overall I'm really pleased with the box and can't wait to try everything out properly. Some colours may not be to everyones taste but I think thats the beauty of these boxes. Trying out something that is out of your comfort zone and experimenting with new things keeps our make up look alive and fresh. Fashions change all the time and so do make up looks, this is where this box fits in nicely. All the products look and feel well made, are cruelty, lead and emollient free. The cost of the box and shipping is £17.82 and this months box is valued at £25.91. I think this is more value for money than some of the boxes that we have here in the Uk, remember all the products are full size and you are guanteed to get a least 3. This looks a fantastic box!! I think i might have to follow in your footsteps and try them! 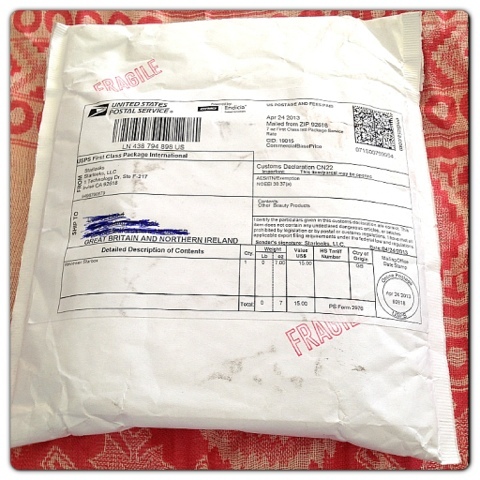 How long did it take to arrive? Love the box, puts our UK ones to shame doesnt it!! from the US, yeh thats really good! Have to remember this when i come back off holibobs! its a shame we have to go to other countries to get better deals. Ive got a box coming from Israel of all places! !